The Caledonia Area Chamber of Commerce is focused on being the voice of the business community by promoting our community and public policy that supports growth of existing businesses and attracts new business and residents to our community. We cannot do this alone and want to partner with other community organizations by providing monetary support that not only benefits the group/event but also furthers our mission. 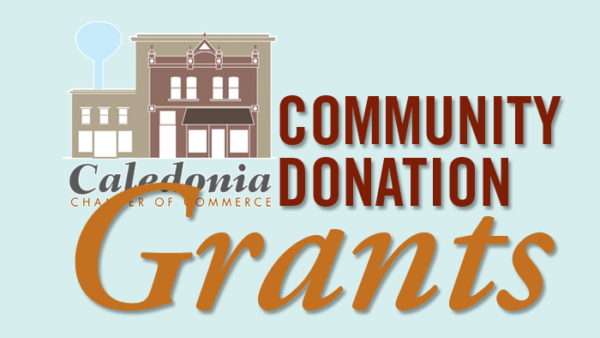 To apply for these grants, the application (download here) should be completed and returned to the chamber with sufficient time for the board to approve the request at a regular meeting. Each group is only eligible to receive one award annually and the amounts of the awards will be less $250. A brief report (either written or at a chamber meeting) will be required to explain the outcome of the funds.